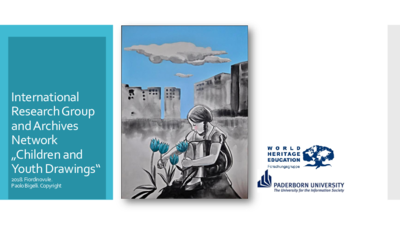 International Research Group and Archives Network "Children and Youth Drawings"
Children and youth drawings can be seen and read as authentic and important documents of serious events and social changes, of conflicts, wars, flight, expulsion and genocides. In diverse dimensions and direct perspectives, they open new insights on historical events, especially several conflicts, often as interface between drawing and handwriting. 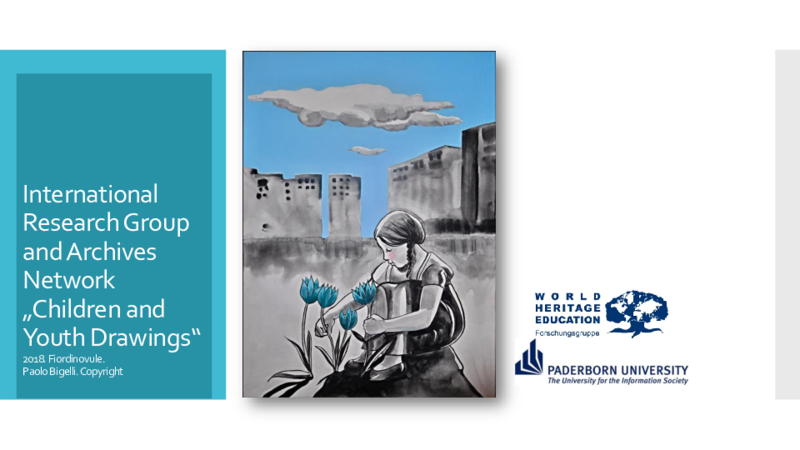 Especially drawings of young people are representing more than many other sources and documents an essential insight in an stage of life, in which happen the decisive developments for the future perspectives of the world. An international archive network started 2017 with a new research programme and innovative impulse for education. 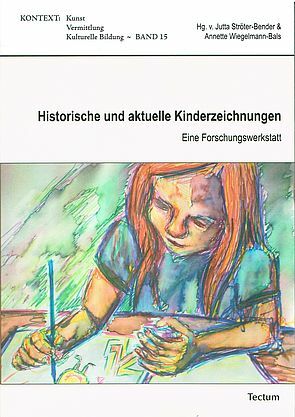 Buchcover mit Zeichnung von Anne Jackisch. Foto: Jutta Ströter-Bender. Siehe http://www.uni-paderborn.de/nachricht/85290/. 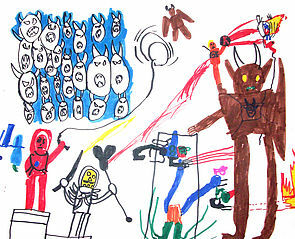 Buchcover "Masters of the Universe", Filzstiftzeichnung (A3), Junge (5 Jahre alt), Copyright Christoph Scholter. Siehe http://www.uni-paderborn.de/nachricht/84142/. 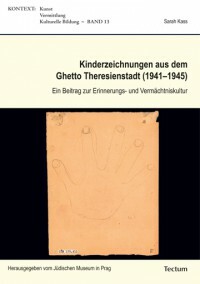 Buchcover "Kinderzeichnungen aus dem Ghetto Theresienstadt (1941-1945). Ein Beitrag zur Erinnerungs- und Vermächtniskultur.